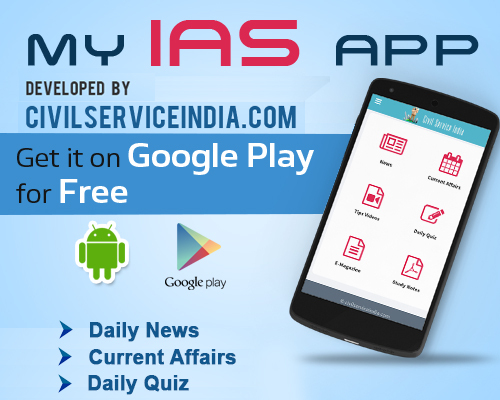 The Union Public Service Commission (UPSC) Monday said IAS aspirant V.Y. Manjunath, who allegedly committed suicide over a goof up in the civil services exam results, had not even qualified the preliminary exam held in 2012. Engineering graduate Manjunath, 24, allegedly committed suicide at Napoklu in Karnataka’s Madikeri district, about 250 km from Bangalore, Saturday. He left Bangalore for Madikeri late Thursday. His father, an upper division clerk in the education department, claimed that his son had cleared the Indian Administrative Service (IAS) exam recently, and secured 264th rank in the examination. However, when the final results were out after the interview, Manjunath’s roll number was on the list, but it appeared against someone else’s name. The commission denied the claims of Manjunath’s father. According to the UPSC, a candidate by the name of V.Y. Manjunath, son of Yadav Murthy V.P., had applied for civil services (preliminary) examination, 2012. “He was allotted roll number 538950 and was allotted Bangalore centre for this examination. The candidate had actually appeared from this centre under roll no 538950. However, he failed to qualify in the civil services (preliminary) examination, 2012,” the commission said. The panel conducts the prestigious examination to select officers of the IAS, Indian Police Service and Indian Foreign Service, among others. The UPSC said Manjunath, having not qualified the preliminary examination, was not a candidate for the civil services (main) examination and accordingly there was no scope for the alleged goof up linked to his death. “It is also confirmed from our records that no candidate with this roll number (538950) or with the name (Manjunath) had appeared for the civil services (main) examination or the interview,” the UPSC said. According to police, Manjunath had reportedly contacted UPSC officials and also written to them seeking clarification over the alleged mix-up in the result. His family claimed he took the extreme step as he was aggrieved over no response. The UPSC said it had received a fax message May 7, 2013 from one G.S. Pradeep Kumar claiming to be a friend of Manjunath in which it was said that in the result list announced by the commission the name of B. Ashwin was indicated instead of Manjunath against roll number 538745. “No letter or representation was received in the commission from the candidate himself,” the commission said. The UPSC said that as per the records of the commission B. Ashwin, son of K. Bhaskaran, and with roll number 538745 was selected by the commission. “Hence, the result announced by the commission is correct and correctly indicates the name of B. Ashwin having roll number 538745,” it said. The UPSC expressed sorrow and grief over Manjunath’s death. “The commission expresses sorrow and grief on this unfortunate incident and expresses its heartfelt condolences to the bereaved family,” it said. Police also found some documents burnt at the spot where Manjunath was found hanging. Manjunath lived in a one-bed room house in a middle class northwest suburb of Bangalore with parents and two younger brothers, police said. He had taken a bank loan to complete his engineering in 2011 specialising in information science. “Manjunath was depressed after he failed to get a response from the UPSC for his repeated enquiries through e-mails and calls since the results were announced May 3,” a family member said.